Multi-table tournament players will be pleased to know that Party Poker has rolled out a new MTT schedule under its Power Series brand that includes new tournaments during the peak hours of 18:00 and 22:00 CET, as well as larger prize pool guarantees in some Sunday events. The new offerings can be found in the tournament lobby at Party Poker, highlighted by the increased prize pools on what is generally known as the biggest day for MTT action throughout the online poker industry – Sunday. The chance to win more cash before the new work week begins can only be viewed as a positive by even the biggest skeptics among us. An example pertaining to the new Power Series schedule and the larger guaranteed prize pools is the Big Bounty Hunter event categorized under the Medium stake level. That event requires a $33 buy-in, begins daily at 18:00 CET, and features a $30K prize pool from Monday through Saturday. The same event on Sunday sees the guarantee boosted to $50K, a 66% increase. For the more budget-conscious players who favor lower entry fees, the $11 buy-in Fast Bounty Hunter that starts at 22:00 CET every day is stocked with a $5,000 guarantee. Enter the same tournament on Sunday and you’ll enjoy a jacked up guarantee of $7,500 in prize money. That’s a 50% higher guarantee. The new Power Series tournament schedule is loaded with a bunch of events similar to the examples mentioned above. Players should also take note that any tournament that names a day of the week in the title such as “Monday Major” will have the same event at the same time every other day of the week (Tuesday Major, Thursday Major, etc.). The revamped schedule of Party Poker’s Power Series doesn’t exclude players who are keen on Turbo poker action where the blinds increase at a swifter pace. There are Power Turbo events that start 15 minutes after the hour, every single hour of every day. Turbo tournaments tend to attract the more casual players who prefer events of shorter lengths, a factor that should be taken into consideration when looking for the best value and to be seated among less-skilled players. 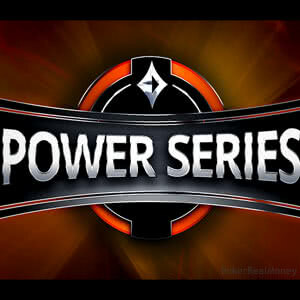 While US players may be restricted from gaining access to Party Poker due to silly statutes stateside, that hasn’t stopped the folks at Party from adding three new tournaments under the Power Series moniker that use “Americas” in the title. Americas Deepstack, Americas Second Chance, and Americas Main Event, with buy-ins from 55 cents ($0.55) to $55, are now a part of the growing Power Series schedule. The new events are so named because they happen to feature starting times deemed “friendlier to our customers” located within the Eastern time zone, the Party Poker Blog stated. Those new tournaments begin anywhere from 17:00 ET to 21:00 ET, which corresponds to 23:00 CET to 03:00 CET. Many players continue to hold out hope that Americans will once again be welcome at Party Poker. When that day finally arrives, Party will already be hosting tournaments geared toward the US – both in name and starting times.